The GOP still controls the House for a few more months and they plan to use every last minute of control to find answers they have long sought. Look, Lindsey Graham has already said he will open investigations into Comey and Hillary and the whole mess those two created with their actions, but what House Judiciary Committee Chairman Bob Goodlatte just did spells doom for certain individuals. From The Hill: House Judiciary Committee Chairman Bob Goodlatte (R-Va.) is planning to subpoena former FBI Director James Comey and former Attorney General Loretta Lynch in an effort to get them to testify before Democrats take over control of the panel in January, The Hill has learned. Goodlatte on Friday provided notice to Rep. Jerrold Nadler (N.Y.), the top Democrat on the panel and presumed incoming chairman, of his plans to subpoena the former officials. Both officials served under former President Obama, while Comey briefly served under President Trump before being fired in May 2017. The GOP chairman plans to subpoena the pair to discuss their decisionmaking during the 2016 presidential race, a committee aide confirmed. 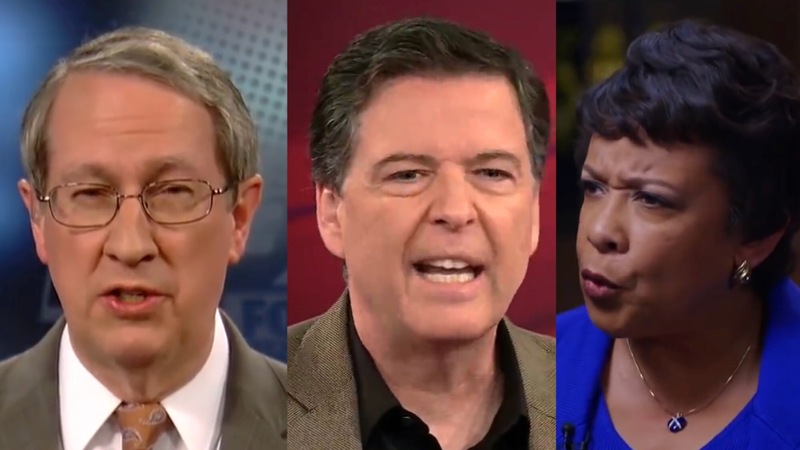 Republicans on the panel are seeking to have Comey appear for a deposition on Nov. 29 and for Lynch to testify Dec. 5. Under Judiciary Committee rules, the chairman must consult the ranking member, in this case Nadler, at least two business days before issuing any subpoena — suggesting that the move could be imminent. He said as well that he wants to become chairman of the Senate Judiciary Committee after the election, if the current chairman, Senator Charles E. Grassley of Iowa, grabs the gavel of the Finance Committee. Should that happen, he said, he would initiate an oversight investigation into whether the Department of Justice and the F.B.I. were “in the tank” for Mr. Trump’s 2016 opponent, Hillary Clinton, joining similar efforts in the House. NEWS: House Judiciary Committee chairman has initiated the process to subpoena JAMES COMEY and LORETTA LYNCH to appear before the committee the week after Thanksgiving.